At Epic, we use the engine ourselves to craft award-winning content resulting in powerful tools and pipelines that enable you to achieve your goals. Over the course of two decades, Unreal has become the most trusted, reliable engine in the world. Unreal Engine is a complete suite of creation tools designed to meet ambitious artistic visions while being flexible enough to ensure success for teams of all sizes. As an established, industry-leading engine, Unreal delivers powerful, proven performance that you can trust. Break free from barriers with tools and workflows that put you in control. Whether your team is made up of five or 500 developers, Unreal’s pre-built, modular systems, customizable plugins and source control integration empower you to meet each project’s unique needs. The highest caliber of professionals continually choose Unreal to push the limits of visual experiences. Whether you’re an aspiring developer or seasoned veteran, you’re joining a community with a shared passion for creation and a commitment to achieving excellence. The ever-expanding Unreal Engine Marketplace has thousands of high-quality assets to start or accelerate your project including Blueprints, plugins, effects, textures, animations, meshes, audio, and project starter kits. Or, create your own content and sell directly to others. The Unreal Engine is a full product suite that comes production ready out of the box without the need for additional plugins or purchases. With Blueprints, you can rapidly prototype and ship playable interactive content without touching a line of code. With complete C++ source code, you can study, customize and debug the entire engine, and ship your project without obstruction. 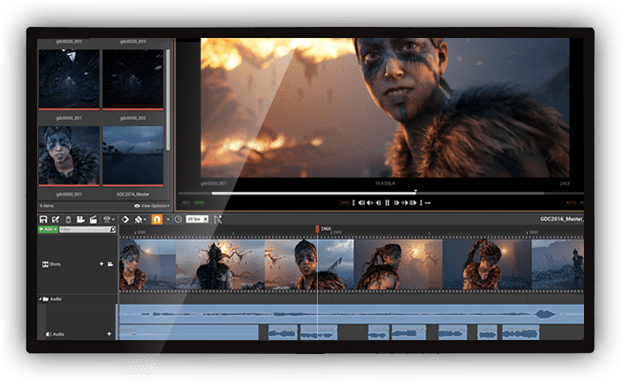 Designed by film and TV professionals, Sequencer unlocks your creative potential with a fully non-linear, real-time cinematics and animation tool. Powerful features include dynamic cutscene variations, cinematic cameras and live gameplay recording. Achieve Hollywood-quality visuals out of the box. Features such as Physically Based Rendering, Advanced Dynamic Shadow Options, Screenspace Reflections and Lighting Channels equip you with the flexibility and efficiency to create awe-inspiring content. Completely customize particle systems using a wide variety of modules, leverage particle lights to impact your scene and build complex particle motion with vector fields to mimic reality and create professional levels of polish. Completely customize your characters with Unreal’s Mesh and Animation editor tools, including powerful features like State Machines, Blend Spaces, Inverse Kinematics and Animation-Driven Physics. Use visual Animation Blueprints to work efficiently and preview your animations on the fly as you craft truly dynamic characters that bring your project to life. Kickstart your work with free project templates and rich learning resources. Instantly access content across a variety of visual styles and genres while engaging with the engine and exploring entire worlds of content. At Epic, we prove our technology by regularly shipping games and demos ourselves so you can count on getting the most out of the world's leading platforms. Launch, operate, and scale great games. One SDK. Everything is included. Any engine. Any store. Any platform. There are no shortcuts to creating immersive experiences that are believable to the human mind. VR requires complex scenes rendered at very high framerates. Because Unreal Engine is designed for demanding applications such as AAA games, filmmaking and photoreal visualization, it meets these requirements and provides a solid foundation to build content on all VR platforms - from PC to console to mobile. 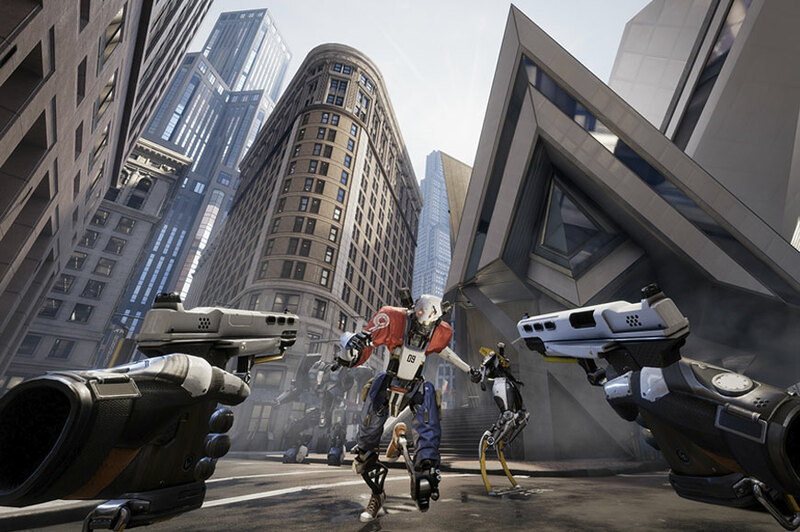 In creating Robo Recall, Epic developed a rendering solution specific to VR. The Forward Renderer supports high-quality lighting features, Multisample Anti-Aliasing (MSAA) and instanced stereo rendering to produce crisp, detailed images at 90 FPS. 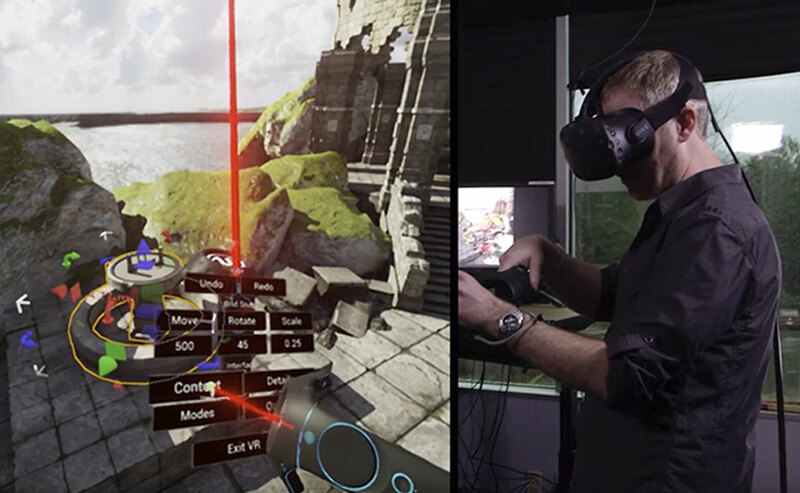 Reach out, grab and manipulate objects with the power of Unreal Engine at your fingertips. The full Unreal editor runs in VR with advanced motion controls so that you can build in a “what-you-see-is-what-you-get” environment. It’s the most robust, feature complete and capable VR development solution in the world. Unreal is a pure C++ engine designed for high performance. Its advanced CPU/GPU profiling tools and flexible renderer equips developers to efficiently achieve quality VR experiences. With the best support for Vulkan and Metal rendering APIs, Unreal enables you to deliver console quality content on mobile devices. Increasingly powerful devices can take advantage of increasingly powerful technology. 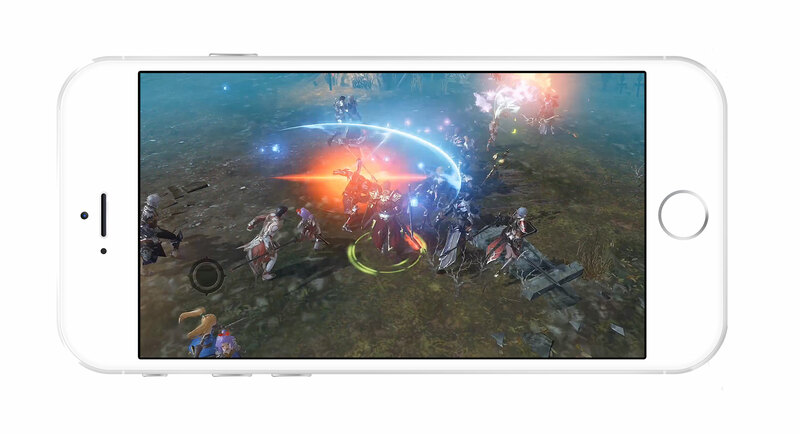 With features like dynamic shadows, physically-based rendering and custom post-processing, Unreal powers the most cutting-edge gaming experiences on mobile. The Unreal Engine community's equivalent of Stack Exchange, for questions, answers, and follow-up discussions on topics spanning code, content, and workflow. Our forums are filled with experienced community developers discussing timely, relevant topics to help you start or finish projects of all shapes and sizes. Need extended support? Nobody knows Unreal Engine like Epic and we’re here to help with custom support agreements. For more details visit our EULA & FAQ. Need a custom license? Contact us.